Manufacture under complete quality control system---ISO9001/ISO14000. 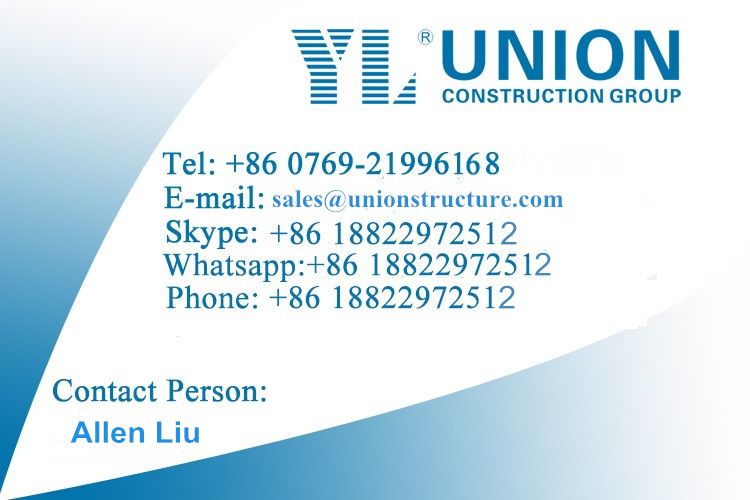 Union Construction Group (www.unionstructure.com) is a large enterprise in China that specializes in design, manufacturing, construction and complete professional management of structural steel construction. we have 22 years experience and about 10 national inventions and practical patents, and our products and services cover: various lights structural steel construction, steel bridge structure, large-span structural steel construction, high-rise structural steel construction, manufacturing of various light/heavy H structural steels, box beam columns, pipe trusses and other main steel frames etc that used for warehouse, office, villa, gas station, gymnasium, swimming pool, hotel, exhibition hall, car parking, aircraft hangars, garage, poultry shed, container house, prefabricated house and so on. 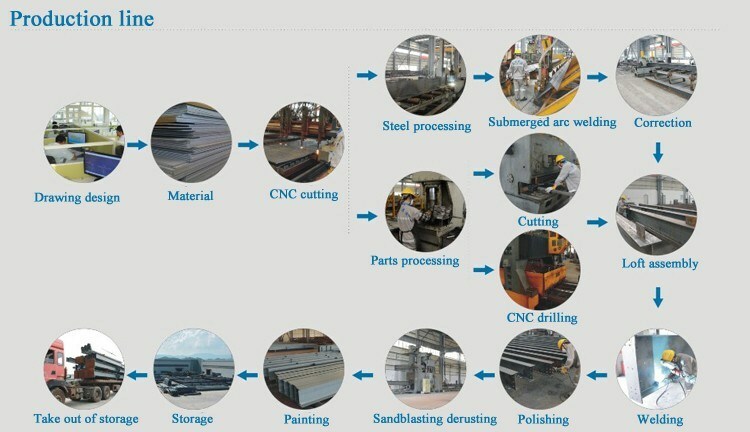 Our factory has national steel construction manufacturer with Grade A qualifications, more, being the most competitive steel construction enterprise in China. 2 Produce Lead time Normal 45days after contract according to quantity. 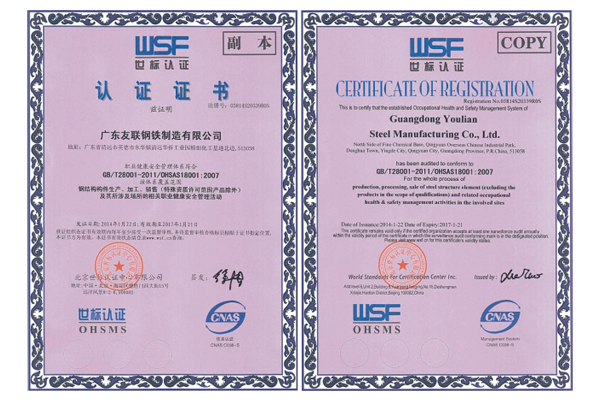 3 Quality Certification Quality certificate from factory, the third party by client request. 12 Secondary frame : galvanized CÂ or ZÂ purlin , steel bracing , tie bar , knee brace ,flashingÂ etc. 15 Column X-type, tree type ,lattice, Cross, Box etc. 24 Finishing options Vast array of colors and textures available, Alkyd painting, two primary painting, two finish painting (gray paint, red paint, white paint, epoxy zinc etc.). Or Galvanized. 31 Packing 1. Container 20 feet: Inside: 5.69m x 2.34m x 2.18m, Gross weight: 17.5 ton, volume is 24-26m3. 2. Container of 40 feet: Inside: 11.8m x 2.34m x 2.18m, Gross weight: 22 ton, volume is 54m3. 3. HC container: Inside: 13.58m x 2.34m x 2.71m, Gross weight: 29 ton, volume is 86m3. 4. All of the steel columns &beams ends and plates will be packed by the blanket to protect them from the crash in the container during the shipment. 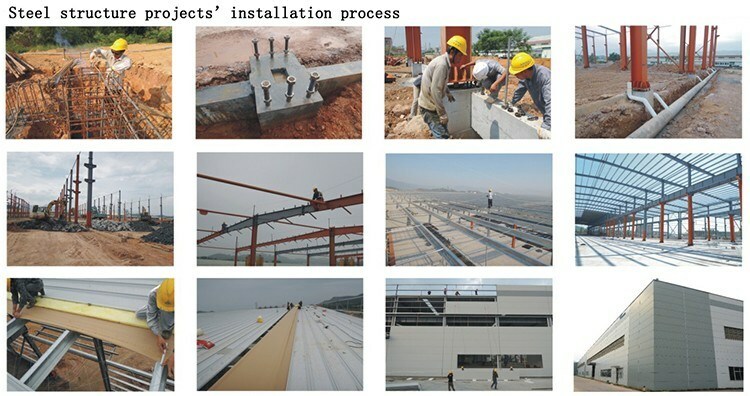 35 Drawing: According to drawings or steel structure design according to customer's requirement. 3) Demands for doors and windows. 4) Other information if necessary. 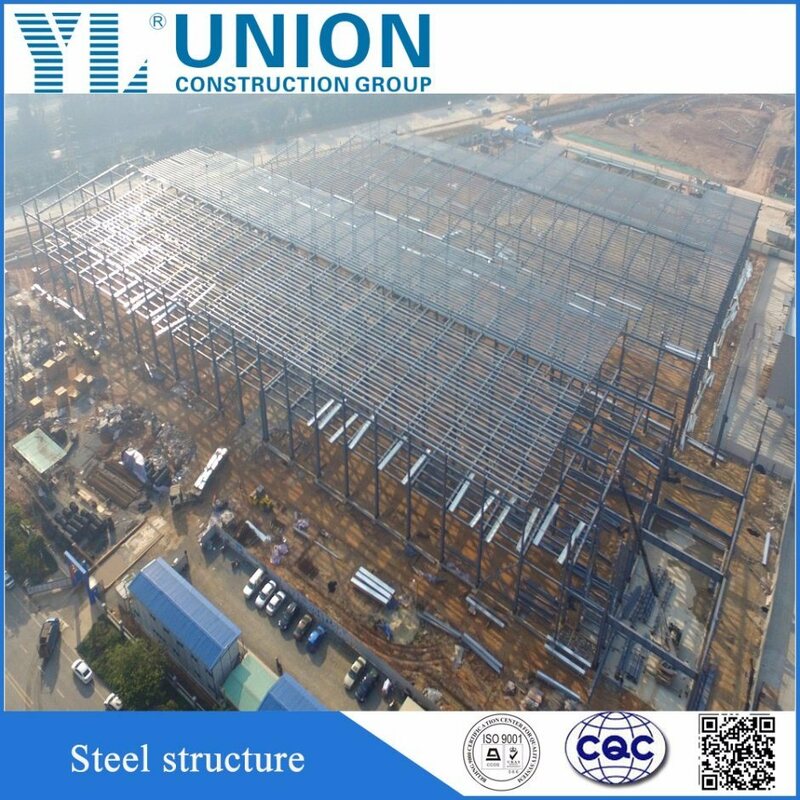 4.Quality and certificater of Union Steel structure.